The Melbourne Cup Carnival is the culmination of the sporting calendar for Victorians, Australians and many horse racing aficionados around the globe. If you can’t join the tens of thousands flocking to Flemington to watch the race, it doesn’t mean you can’t stop with the nation to bet on your favorite horse and sip champagne to celebrate your win. You can bring the event closer by throwing your own fabulous Melbourne Cup party with family and friends right where the home is. There are basic considerations when preparing the lawn for a Melbourne Cup party to simulate the unofficial public holiday also known as a parade of swanky fashion. A bumpy or uneven lawn is not a good match for the high heels expected to be worn by your lady guests. To avoid embarrassing falls and slips, dress the lawn with top soil before planting a new layer of grass. Apply fertilizer to boost the color and full growth of the grass in time for your little Melbourne Cup party. Don’t forget to deck the area with roses just like what gardeners at Flemington do before race day hours. Any party will spring to life depending on your choice of decorations. Visit a credible online shop for one-stop shopping of all the Melbourne Cup party supplies you need to spare yourself from the trouble of scouring shelves in search of theme-related items. 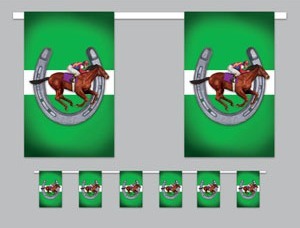 Decorate with all the raceway colors to be worn by the jockeys racing in the event. If the lawn is big enough, you can hang a giant Melbourne Cup paper banner, latex or foil balloons, Derby Day jockey helmet twirls, and horse racing flag buntings. 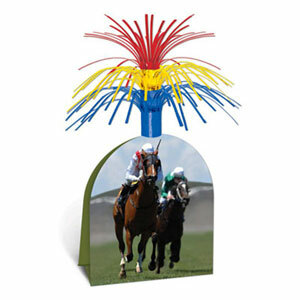 Get help from the kids in setting up the area with different horse racing cutouts. A lot of work goes in decorating the place, but it will yield a spectacular result that can rival the original platform. Catering for a Melbourne Cup Carnival party lends to finger foods that are easy to eat while standing up. Considering this grand event calls for a grand celebration, preparing the food may involve lots of cooking and serving while the guests are having fun. If you’re inviting over a few family friends, you can consult with them in preparing a menu that everyone will enjoy. You can even ask them to bring one special dish each. Nevertheless, if you want to take control over the menu, keep it simple and low-fuss yet classy to live up to the spirit of the Melbourne Cup and to allow you to relish the tasty buffet together with your guests. Line up the food together with colored plastic plates, bowls, and heavy duty cutlery along a wall decorated with Derby Day photo prop to help guests in picking what will satisfy their palate. The party calls for bubbly spirit, both in mood and beverage. As a host, you don’t want the guest to become wild so offer a range of fruity concoctions named in the likes of Melbourne Madras and Flemington Fuzz. Serve beverages in cocktail glasses with wedges and little umbrella in the same jockey colors. 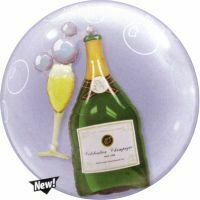 However, don’t miss to bring out the customary champagne and caviar for a celebratory toast underneath double bubble champagne balloons. The Melbourne Cup is seen as an opportunity to sashay into the racecourse in fashionable wear. It’s your chance as well to dress up by indicating a dress code on the invitation. 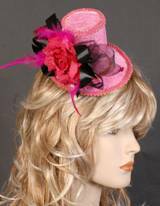 You can choose the theme ranging from classical Victorian to smart casual without forgetting to mention the Melbourne Cup fascinator to complete the women’s frock. You can provide a box of jockey’s cap for men to put on as their ticket to enter your party. To tip the fun scale, offer a prize for the best-dressed lady and gentleman attending your very own Fashion on the Field. Sweepstake is one must-have activity for any Melbourne Cup party. On the day of the race, refer to the racing guide or visit the official website of the Melbourne Cup Day for the latest horse scratching. Write down the names of horses and jockeys on slips of paper with a base minimum amount. Take the bets of each guest and allocate the money on all horses. After knowing the results of the race, the winner gets the prize and a foilboard gold cup. The big race falls on the first Tuesday of the month of November, although time varies in some parts of Australia. Be sure not to miss the event in your own Melbourne Cup Carnival party. That’s essentially is what the party all about. This entry was posted in Melbourne Cup Party, Party Recipes, Party Themeing, Party Tips, Partying with Success, Themed Party and tagged melbourne cup, melbourne cup fashion, melbourne cup stickers on October 12, 2014 by Vanessa Osborne.